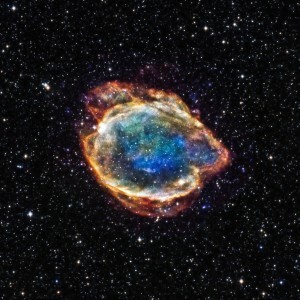 An X-ray/infrared composite image of G299, a Type Ia supernova remnant in the Milky Way Galaxy approximately 16,000 light years away. 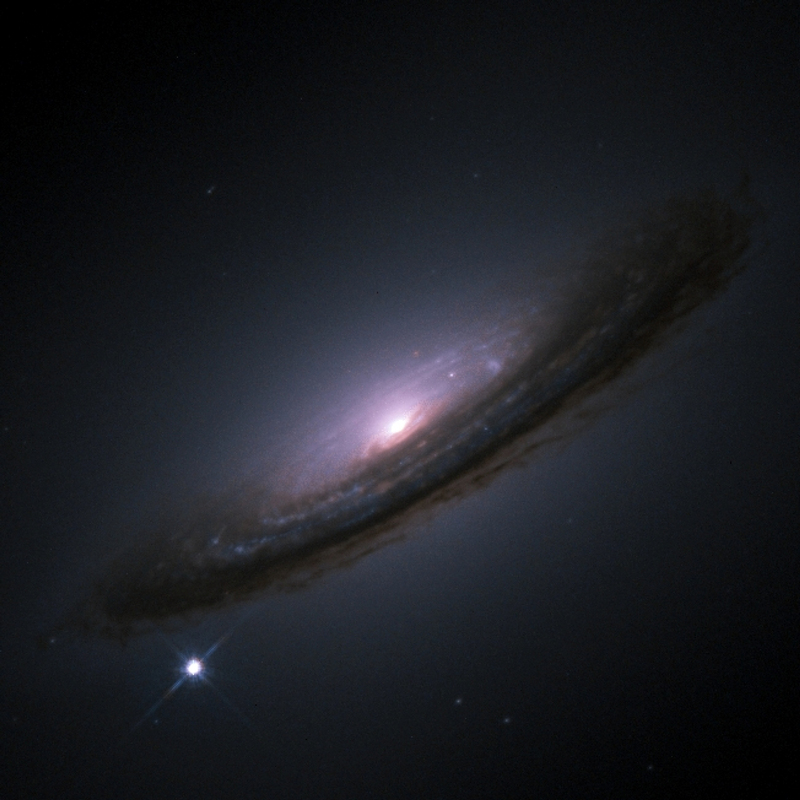 An image of SN 1994D (lower left), a Type Ia supernova detected in 1994 at the edge of galaxy NGC 4526 (center). 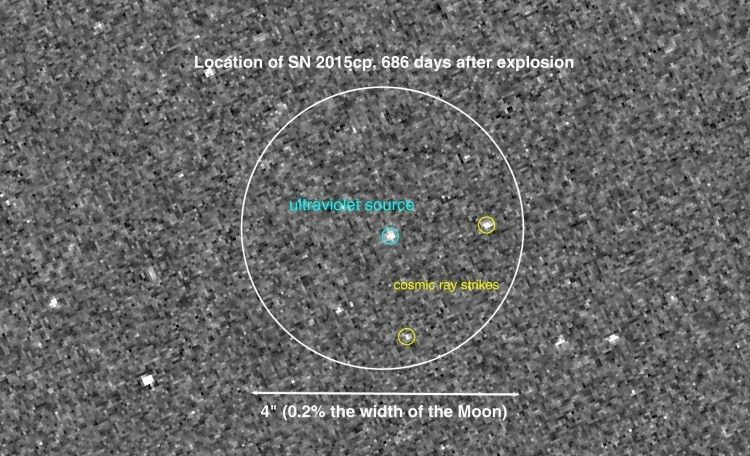 In 2017, 686 days after the initial explosion, the Hubble Space Telescope recorded an ultraviolet emission (blue circle) from SN 2015cp, which was caused by supernova material impacting hydrogen-rich material previously shed by a companion star. 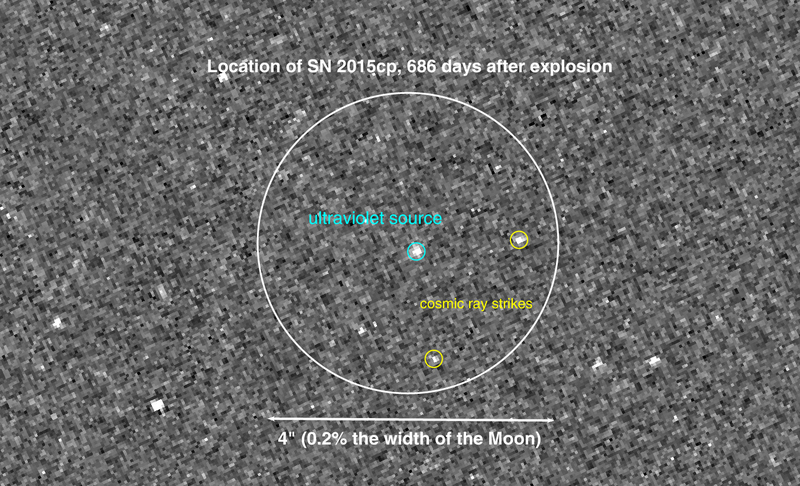 Yellow circles indicate cosmic ray strikes, which are unrelated to the supernova.